Can you challenge 148 bowls of noodle at a time? Noodle is an ordinary food. 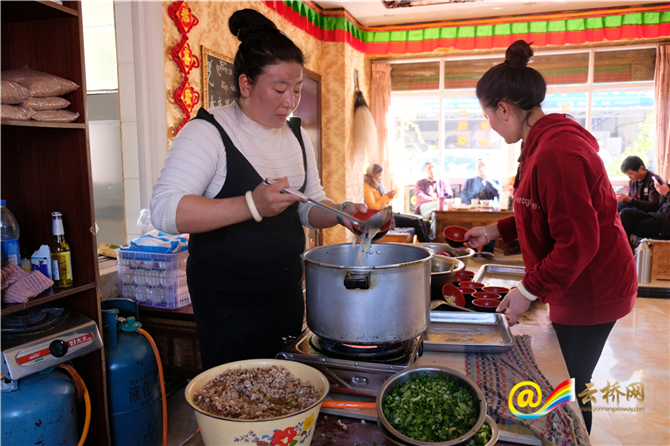 But you may find a kind of special noodle in Yanjing Township, a place where Yunnan Province and Tibetan Autonomous Prefecture meet. It is called Jiajia noodle among locals. The noodle is served in small bowls. 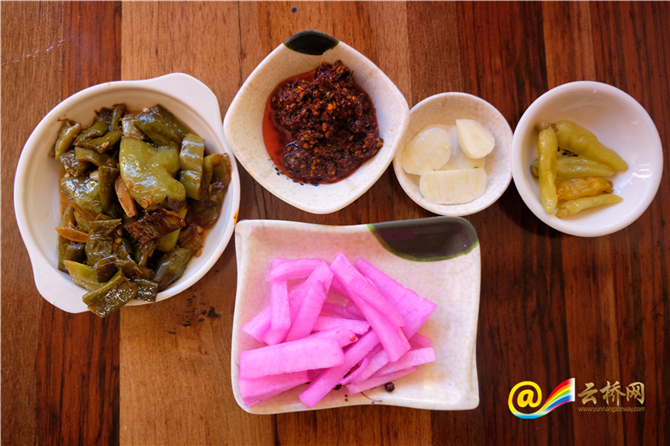 Charged RMB 25 per person, you can eat as much as you can. Interestingly, dozens of stones are put in plates on the table. 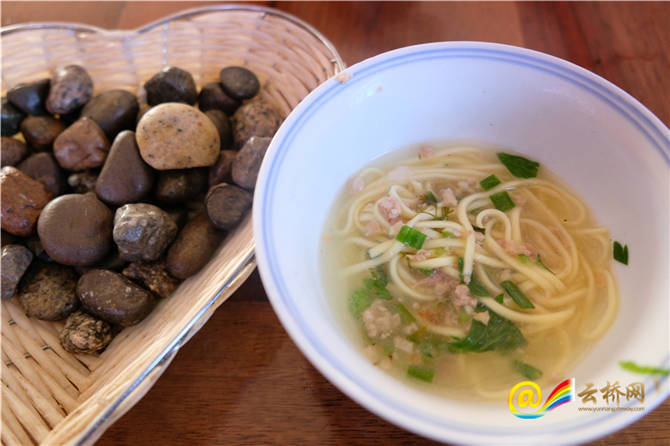 Every time you finish one bowl of noodle, you can take one stone out of the plate. It is a tradition of local people to know how many bowls are eaten by counting the stones. And now the record number is 147 bowls. Several years ago, a tourist ate 147 bowls of Jiajia noodle at one time. The owners of restaurants and local people are wondering who’s gonna break the record every day and 105 is this years’ record. One of the owners said that the record breaker can eat noodle in his restaurant for life time. He will also introduce the winner a mate and send 60 yaks as present. 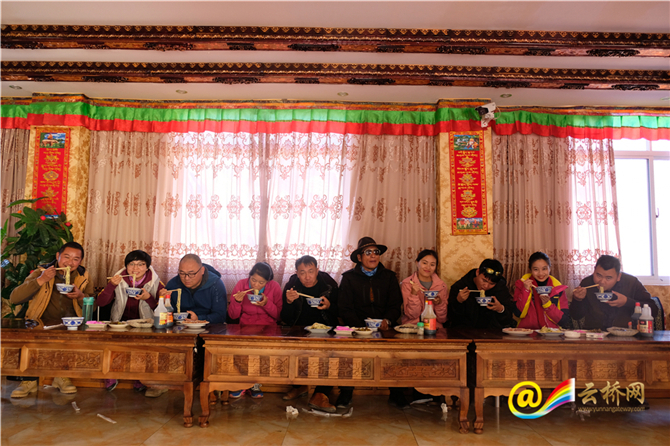 The day when we visited the Yanjing, none of us broke the record, but the experience of eating Jiajia noodle really impressed us. In fact, the “fun” is the most special ingredient of the delicacy.